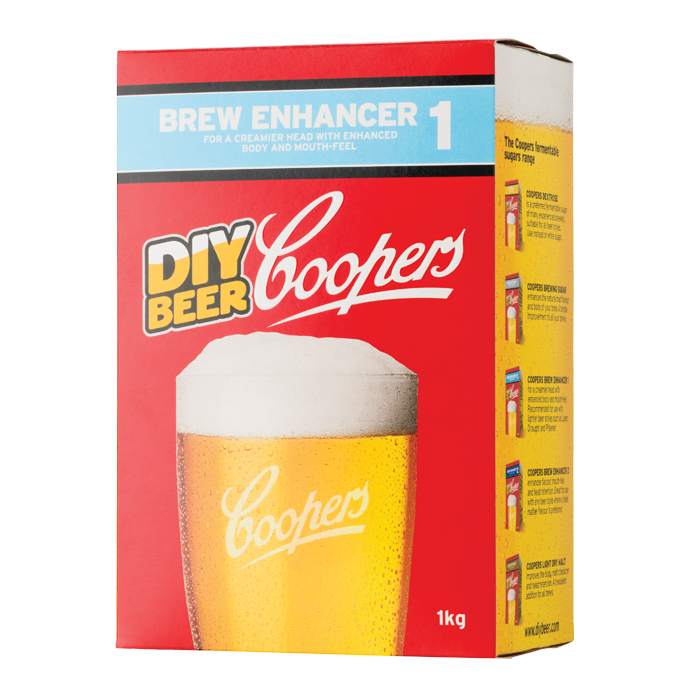 Coopers Brew Enhancer 1 (1kg) contains dextrose and maltodextrin. The dextrose will ferment out completely with no residual cidery flavors whilst the maltodextrin does not ferment thus improving the body, mouthfeel and head retention. 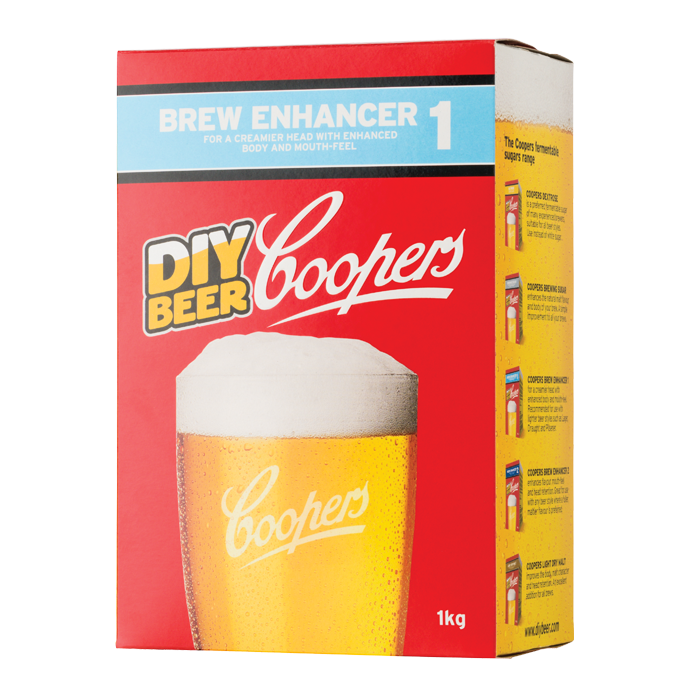 Recommended for use with lighter style beers such as Lager, Draught and Pilsener.